Mondays, June 3-24, 6:30-8:30 pm. Taught by Neely Atkinson, PhD. The Abhidhamma, along with the Sutras (teachings of the Buddha) and Vinaya (rules for monastic life), is one of the three pillars of the Buddhist canon. The Buddha taught for over forty years, and his teaching were addressed to many people, in various stages of life and development facing different challenges and difficulties. The Abhidhamma is the result of the attempt of early Buddhists to organize these varied teachings into a coherent framework. The Abhidhamma addresses the fundamental nature of human life as we actually experience it. It attempts to define the fundamental of aspects of experienced reality and to show how these aspects relate to each other to produce what we feel and perceive moment. The Abhidhamma has the reputation of being a challenging, even intimidating, study. However, the basic concepts are straightforward. In this class, we will explore these basic ideas together through readings and discussion. Together, we can explore these ideas which continue to be fundamental to all schools of Buddhism. This class is appropriate for intermediate and advanced practitioners. Intrepid beginners will also find it intriguing. 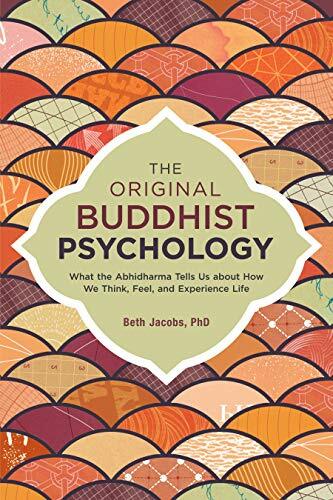 The text for the class is The Original Buddhist Psychology by Beth Jacobs, a Soto Zen lay teacher. Each class begins with a period of meditation followed by a presentation and discussion. Neely is a long-time Zen student with the dharma name Shindo Shosan, Heart of the Way, Auspicious Mountain. He is also a Lecturer on statistics at Rice University, and a musician.